It has been about 4 years since I first wrote about Spaceteam, and there have been a few changes since then. The app is now available on both Google Play and iOS, and there can now be up to 8 people involved in a single game. What hasn’t changed is that it is still fun! Due to the unusual vocabulary, this game is best suited for 4th grade and up. The app has a 9+ rating, but I have not seen anything inappropriate pop up on the screens. The biggest danger seems to be that people might inadvertently pronounce something incorrectly. Why play this app in your classroom? Well, it’s a great brain break. It’s also fun for team building. In addition, it can be the introduction to a great conversation about listening. One of the things my students learned was that, when you expect to hear one thing and someone says something else, you may miss it. (This happens a lot in Spaceteam due to differences in perceived word pronunciations.) They also learned that little can be accomplished when a lot of people are yelling, and that communication is definitely more difficult in high-pressure situations. Spaceteam also has a Spaceteam ESL app designed specifically to help English language learners work on vocabulary. Again, there is a lot of shouting involved, but it beats memorizing word lists. For many of us, the end of the school year is drawing near. 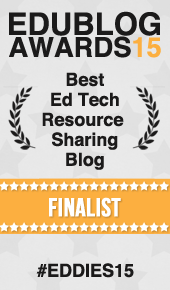 If you are looking for novel ways to keep student interest, you may want to try Spaceteam. Snotes allows you to make short hidden messages. The only way to read them is to turn them certain ways – both horizontally and vertically – which can be done physically or digitally. There is a Snotes app (for both iOS and Android), which allows you to digitally send Snotes secret messages, and there is a Snotes Quotes app, which is a trivia game. After trying out Snotes, you can register for a free account, which will allow you to make more Snotes. Or, you can pay $1.99 for a bunch of extra features like an “expanded secret decoder.” Not really sure what that means, but it might be worth two bucks to find out. 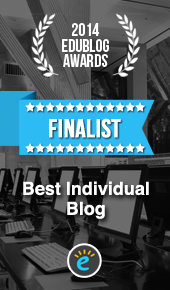 It’s quite possible that I typed “snots” instead of “Snotes” somewhere in this blog post, although SpellCheck seems to have found enough “Snotes” to make that unlikely. *Unfortunately, the website may be blocked in your district, but you can always create Snotes at home to use for school, or use the app. Tomorrow is Valentine’s Day. If you teach in any country that annually celebrates this day, then you know that getting your students to focus will probably be somewhat of a challenge. You might as well join in the fun – in an educational way, of course. I’ve already posted this year’s list of Valentine’s Day resources, but wanted to let you know that I will be adding these seasonal Breakout Edu games to the list. “Anti-Love Potion #9” is designed for elementary students, and, “Where in the World is Valentino/Cupid?” targets middle and high schools. “Holiday Hijinks” connects to a few different holidays, including Valentine’s Day, and can be used with 2nd-6th grades. Many of my 4th graders embarked on the “Presentation Planning” stage of their Genius Hour projects this week. I require their presentations include an interactive portion for the audience. When they saw “game show” as one of the choices, that became an instant favorite. The problem with this is that the default game show format for my students always seems to be “Jeopardy.” There is nothing wrong with Jeopardy, but I’ve been guiding Genius Hour projects for several years, and would like to see a little more variety in this area. Thankfully, I obsessively save websites to look at later with my Pocket app, and recalled there was a blog post about game shows. Although the post was written with teachers in mind as the hosts, many of the suggestions in “30 Activities Inspired by Game Shows” are ones that could be used by students. Another possibility would be to encourage the students to create their own game show format. You never know who in your class might be the next Merv Griffin! The Kid Should See This Gift Guide – I always ask my family for a few items from this list every year. This year’s must have’s? 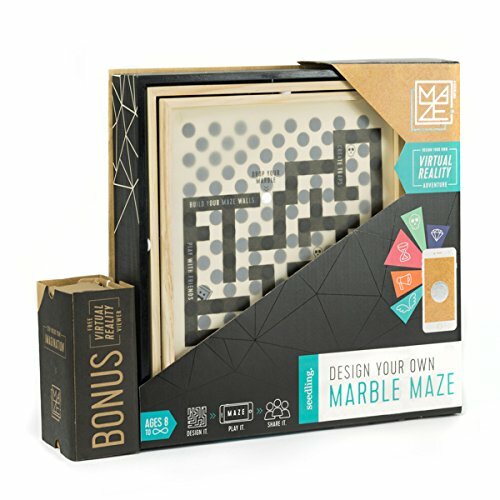 Brain Builders and Design Your Own Marble Maze. 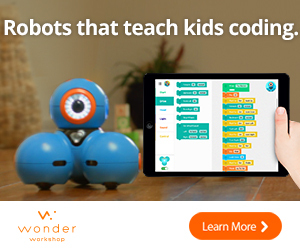 DIY.org Gift Guide – Even though I’m not a Tween, these Jewelbots look super cool. I would also love to see the students try building with these YOXO Construction Toys. 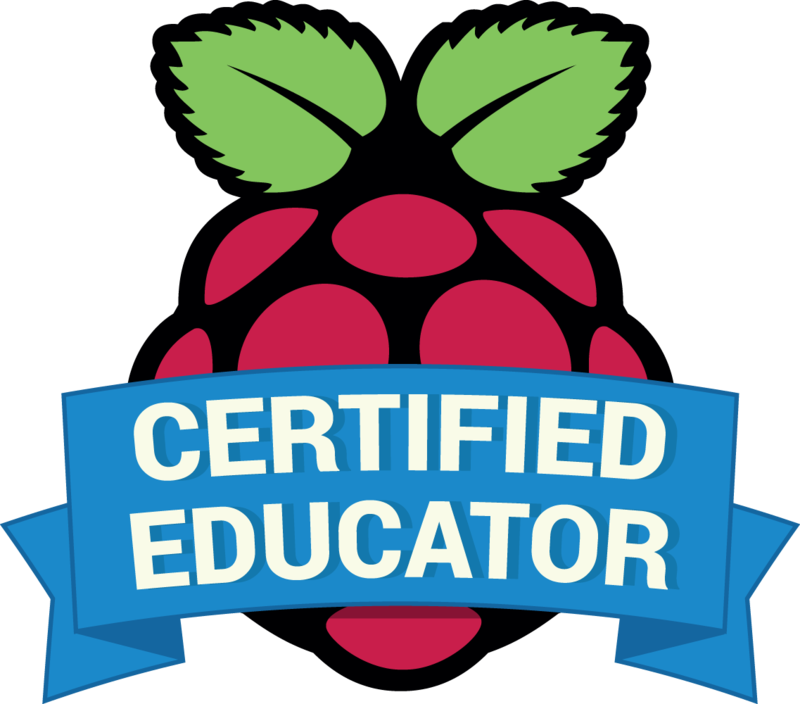 Maker Gifts for Kids – I’m getting a Raspberry Pi in a couple of days, so I can check that one off the list! Top Ten Makerspace Favorites 2016 – OMG. I want half the things on this list, but I’ll settle for one or two. Santa, please bring me Sticklets and/or Rigamajig! 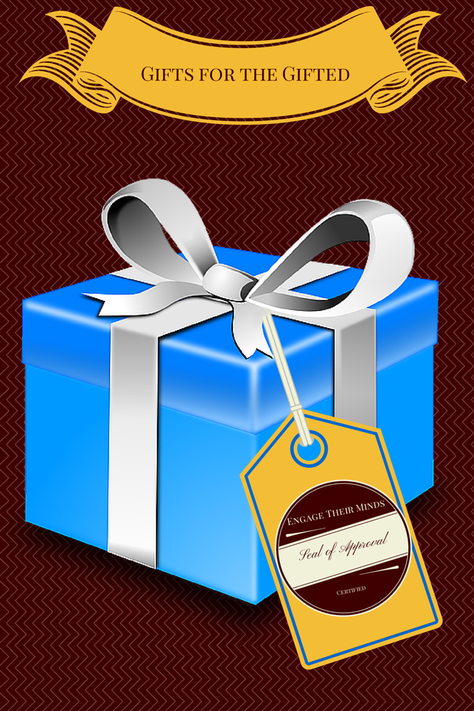 Stay tuned on Friday for another installment of this year’s Gifts for the Gifted! My annual “Gifts for the Gifted” lists wouldn’t be complete without at least one game from ThinkFun. This company is one of my favorite sources for entertaining educational games and my students always enjoy reviewing new ones as well as playing the classics. 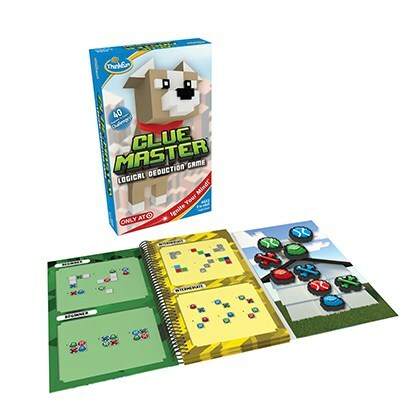 Clue Master is one of ThinkFun’s newer products. It’s a “logical deduction” game that is somewhat like Sudoku. Although it is labeled as a single-player game, my students and I like to play in pairs, alternating puzzles. Designed for ages 8 and up, it does one of the things that ThinkFun does best with games like this – scaffolding. The challenges slowly increase in difficulty so that anyone can work through them at their own pace without feeling bored or frustrated. The game puzzles and solutions are contained in a sturdy book, and you will also find 9 magnetic tokens, a game grid, and instructions in the box. Each challenge gives you a picture of the grid with some clues to the locations of each of the tokens. The player’s job is to use the clues to deduce where all of the tokens should be placed. The graphics have the pixelated look of Minecraft, which immediately draws the attention of young people. Don’t be fooled, however. Adults will have just as much fun trying to solve the challenges once they skip through the beginning puzzles. Spatial reasoning is definitely a requirement in addition to logic, and many of us can use a bit more practice in both. With these types of games, I’ve found that part of the appeal to my young partners is for them to see me struggle through it. I also enjoy when they verbalize their thought processes and come to the realization that all of these can be solved through reasoning – not guess & check. This is why I would recommend that, if you purchase Clue Master as a gift, you make plans to enjoy it with the recipient instead of expecting him or her to go off an play it alone. Both of you will find the experience much more rewarding. For more game recommendations, check out my Pinterest Board, which includes more products from ThinkFun as well as other great companies.